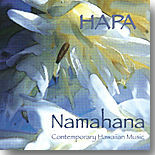 Listen to Real Audio and/or MP3 samples of songs with icons. 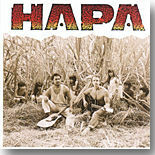 Go to HAPA REVIEW PAGE "This album is the second from "HAPA", which means "half n half" - half instrumental, half vocal harmony, and ethnically too - i.e. 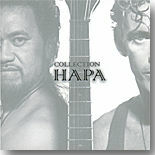 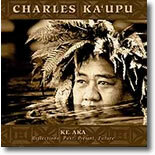 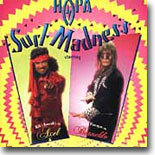 it is performed by HAPA the duo of 'haole' Barry Flanagan and Hawaiian Keli'i Kaneali'i. 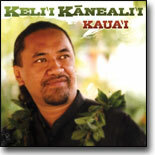 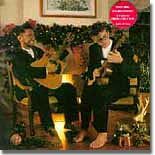 Though the name means "half", the sum total is double most whole albums, in that it is excellent song and excellent slack key guitar in the same album. 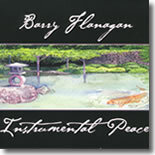 I recommend also CD #15 HAPA's first album, which has more original compositions by Barry Flanagan.